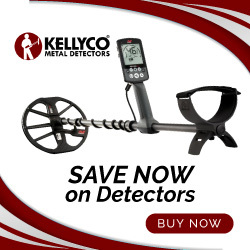 Another very good and reasonably priced ($425.00-$525.00) gold detector for those of you just starting out in nugget hunting is Tesoro’s "Vaquero" (Note: A bit of language trivia for you…in Spanish tesoro means treasure and vaquero is cowboy. J.R.). Like Garrett’s “Scorpion Gold Stinger,” the “Vaquero” is a versatile detector that is suitable not only for nugget hunting but that can be applied to coin hunting tasks as well. Operating at a very low frequency (VLF) of 14 kHz (nearly the same frequency the “Scorpion Gold Stinger” operates at) the "Vaquero" does not employ the highest frequency range, but it’s still sensitive enough to detect small nuggets in fairly tough conditions. The “Vaquero” employs a three and three-quarters ground balancing function that can easily be manually adjusted for the highly mineralized or “hot” conditions that are so prevalent in many nugget patches or fields. The “Vaquero,” unlike many other detectors, only requires one (1) “drop-in” 9v battery to power its circuitry for hours of field hunting (Note: It should be a “no-brainer,” but always carry spare batteries with you anytime you are out and about nugget or treasure hunting. J.R.). Additionally, you may be interested in knowing that the “Vaquero” has a discriminator function for tuning out metallic trash (typically ferrous metals). Remember however, that most nugget shooting experts say that they rarely if ever use discrimination in the field and that you should dig all targets since some nuggets can sound like (or be indicated as) trash. One real asset of the “Vaquero” is its ultra-light weight. If you’ve ever spent hour after hour swinging a detector for nuggets, coins, jewelry, or artifacts you already know how tiring that can be and what a strain it can place on your arm, wrist, and lower back. So, the lighter a detector is the better off you are in this regard. 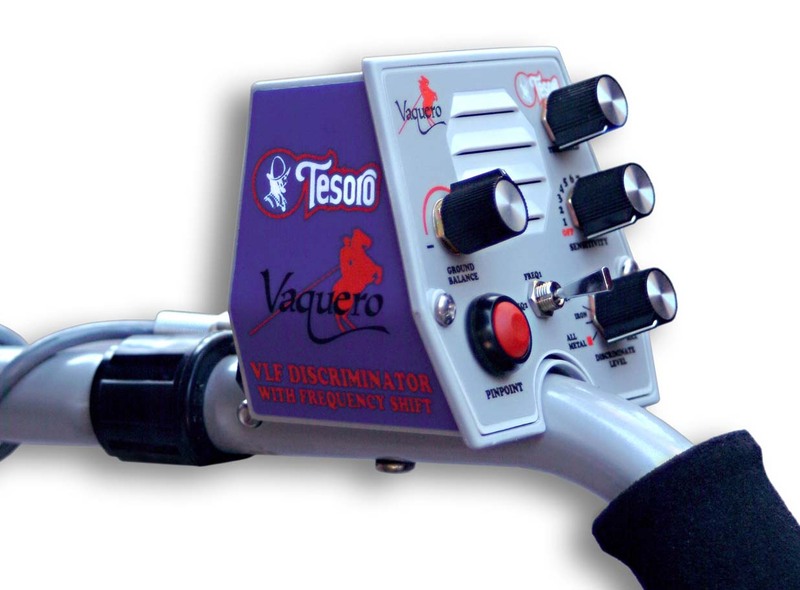 Other positive aspects of the “Vaquero” are its “push button” pinpointing function which facilitates target recovery and, get this, a LIFETIME WARRANTY on the machine (not too many of those out there these days on anything you purchase). Finally, the “Vaquero” comes equipped with a 9” x 8” “Monolithic” coil and a 3-piece “knockdown” stem or pole. In a subsequent post I’ll cover some of the better mid-range or intermediate gold detectors. Stay safe until then.